This year’s festival turned out to have lovely weather despite all the threats of rain we’ve had for the last eight straight weeks. The ground was still pretty soggy, but the air was dry and had just a hint of that Fall feeling to it. I love this festival for many reasons, but the beautiful Shenandoah Valley setting is special and it’s a nice 45 minute drive out west for me. 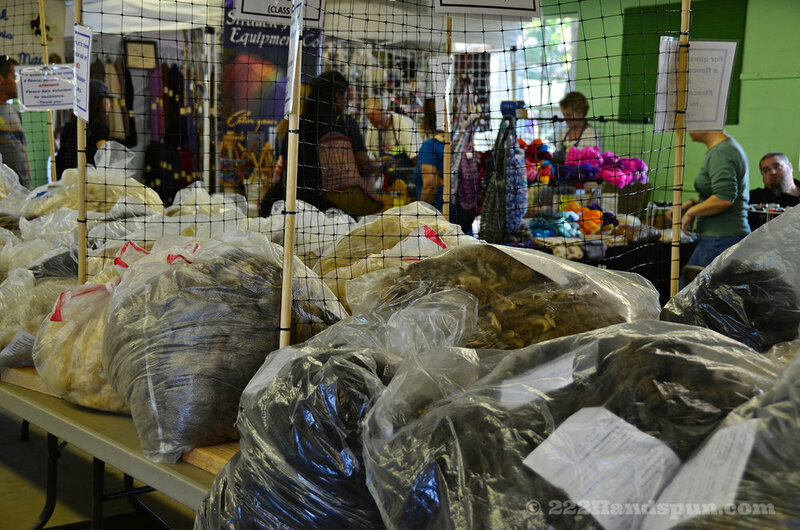 I took some time off to help with the fleece sale check-in Friday, where the team of volunteers sorted and juried a couple hundred fleeces. Like last year, I also helped with the online sales. One volunteering perk is that you see all the great fleeces as the come in. Of course I snagged a couple for myself - a Finn X Shetland and an award winning silver grey huacaya alpaca. The Finn x Shetland is from Bridget, who is a co-chair for the Fleece Sales event. She has around 80 animals on her farm which is just over the border in West Virginia. I’ve visited her farm and wool shop before and purchased many fleeces from her. 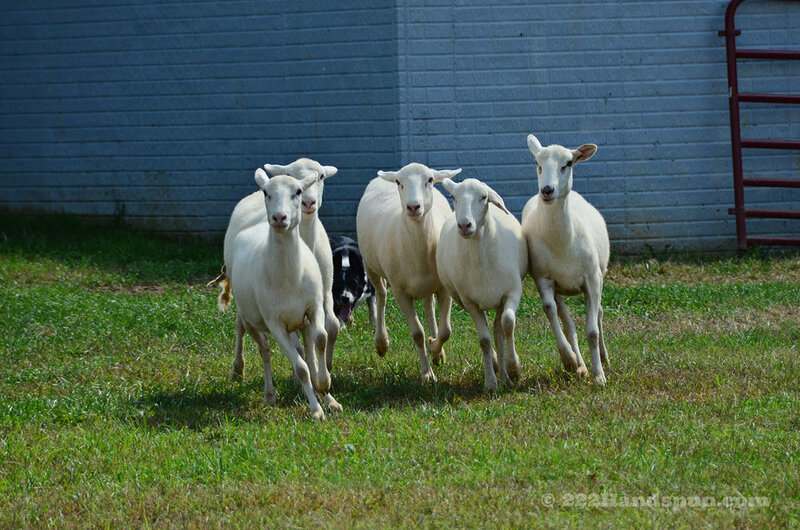 She has a wide variety of breeds and the sheep are really well cared for. I love hearing her stories about the mischief some of them get up to, and which ewes had which babies, and how their fleece is this year. I feel like I always learn something new when talking to her. We wrapped up the check-in day and I headed home with some pretty tired feet and back. I hadn’t even been there as long as Bridget and Nancy and the rest of the volunteers who work tirelessly to make the fleece sale such a success every year. They do an amazing job with all the preparation ahead of time and afterwards to put everything in the books and ship out the online sale fleeces. Brava ladies! Another cool thing about the fleece sale is that it’s held in the same barn as vendors and many are friends I look forward to seeing at there. Kim of Kim Dyes Yarn is a great friend and talented dyer. I enjoyed catching up with her and making some new friends after the festival. The fiber community is small in a lot of ways, and although we come from all over with different backgrounds, we have a common thread with our love of fiber that connects us. Here is some of Kim’s beautiful fiber. I wandered around early Saturday and did a little shopping and photography. Because of the heavy rains and flooding, they moved some of the outside vendors and it looked like they added a bunch of new ones. I stopped at Yarn Hero and bought a skein of yarn and a cute little pin. I really love her style and colors. Some of the outside vendors had beautiful booths. I met up with my good friend Kristin of August Moon Farm for a bit and we ran into her shearer, Emily Chamelin Hickman, who had an Angora goat that she was getting ready to do a shearing demo with. He was stinky and handsome and he knew it. The bucks (intact males) can have a strong musky scent. Angora goats produce mohair fiber. 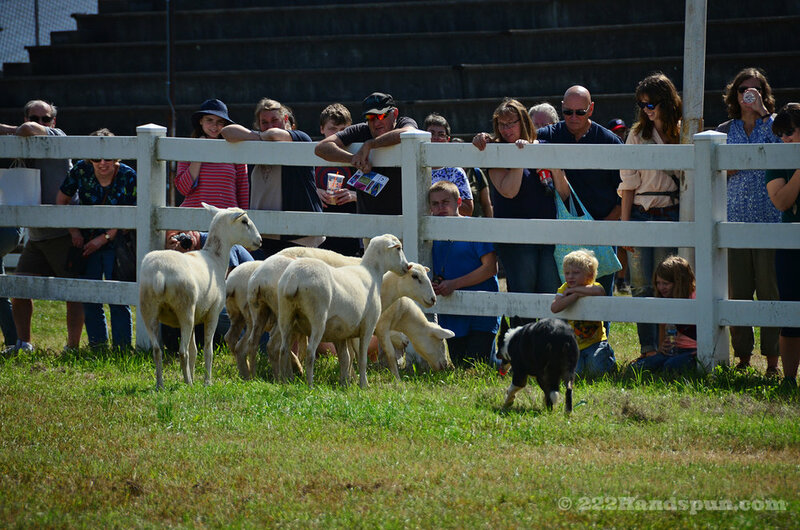 We watched him get a haircut for a bit, and then went to see the Sheepdog Herding Demonstration. Tom Forester was doing the demo again this year. He uses whistles commands to tell the dog to work the sheep a particular way. I like watching the new dogs just learning the ropes. 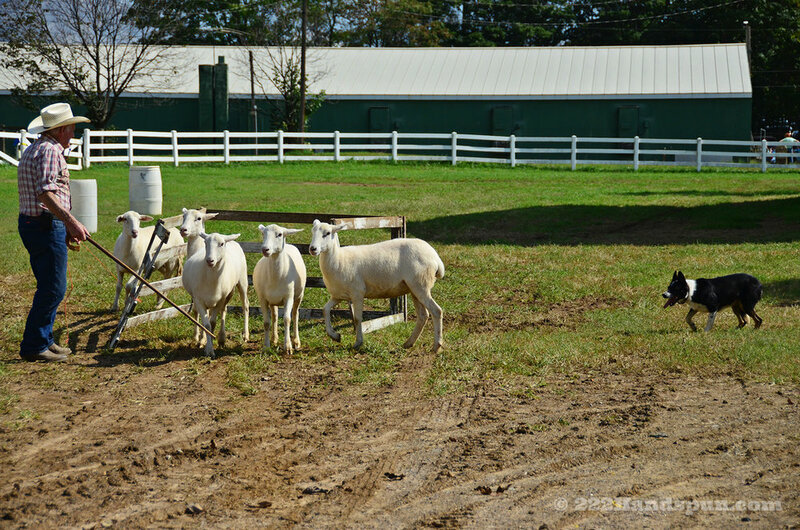 They prefer to use Katahdin sheep for the demos because they have a good disposition and are easier for the dogs to herd. This dog did a pretty good job with them! I wanted to take a look at the breed exhibit in the barns. Sadly, I think I missed a whole bunch of exhibitors, but I did get to see the beautiful Shetland Sheep on display from Phoenix Farm Fiber. The sign said their names were Honey and Wooly Bully. According to The Shetland Sheep Society there are 11 main colors and over 30 recognized markings. I think Shetland is my favorite breed and some of the prettiest sheep I’ve ever seen. They’re definitely in my dream menagerie. I’m trying to figure out what markings these ones have. It is such a small world and I tend to run into a lot of people I have met and seen before at fiber related events. I’m really bad at remembering names and dates, but I usually recognize a familiar face. Photographing and writing about my adventures on my blog helps me keep a record so I won’t forget. It also sometimes helps solve a mystery. Saturday was one such occasion. 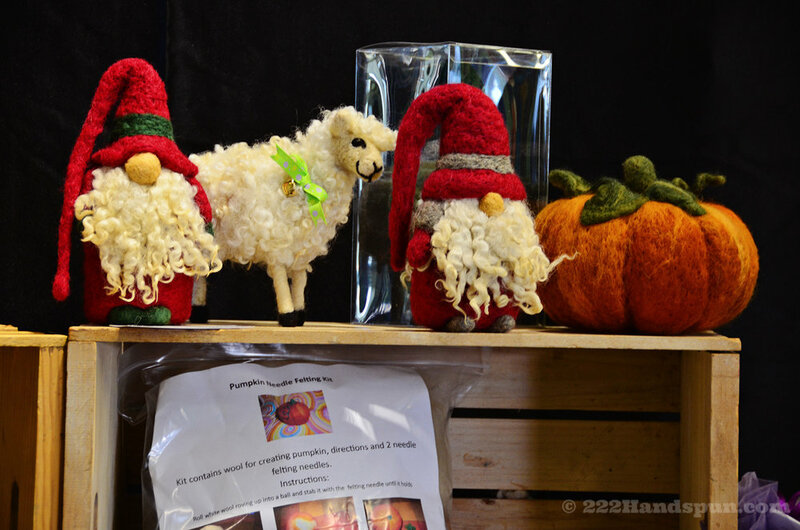 I was at the Cloverhill Yarn Shop booth and saw two familiar looking women behind the counter. One was wearing a fantastic Westknits Penguono cardi and I was admiring it and hoping she’d let me take a photo. I’m not a very good knitter, but some day I’d love to make one for myself, so I wanted to know how hard it was to knit. 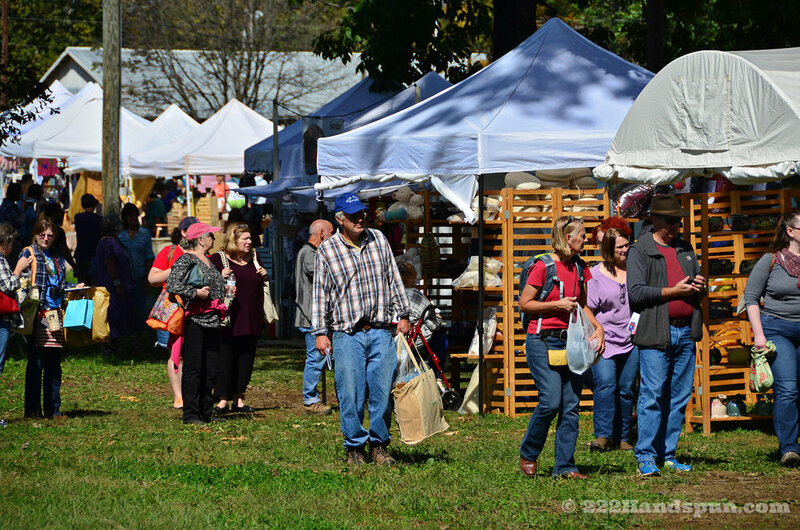 As we were talking it struck me where I might know her from, and I had an aha moment… my Maryland Sheep and Wool Festival 2017 Wrap-up post I had spent about two hours transferring to my new blog last month! In it was a photo I took of a woman wearing an eye-catching shawl. I remember I kind of had to run up behind her because she was moving pretty fast. I didn’t know who she was, but I thought it was a great example of a festival shawl and I had to get a shot. 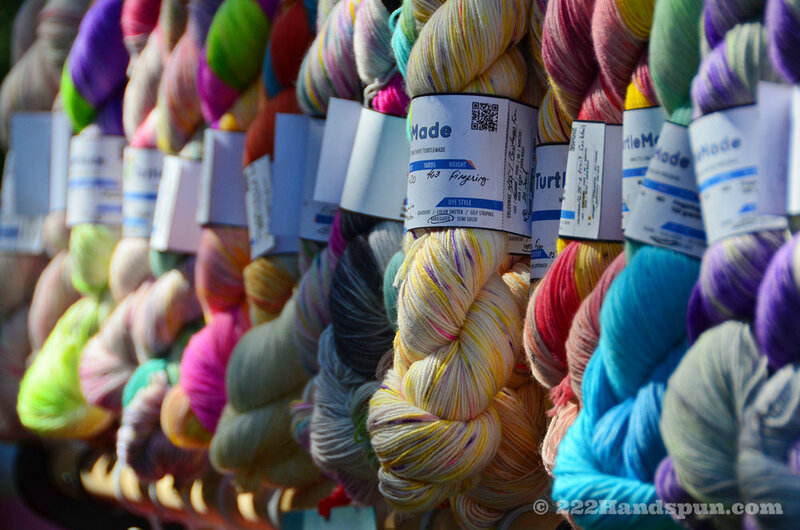 When transferring the images to the new blog, I discovered that someone had left a comment on the post and she recognized who the mystery lady was - in fact it was Amanda from Cloverhill Yarn Shop wearing Stephen West's pattern “Marled Magic Shawl”. I hadn’t even seen the comment until then. What’s even funnier is that the woman who left the comment was someone I had just bought yarn from earlier Saturday (Lynnell from Yarn Hero). I just didn’t recognize her name (again, I’m terrible with names. Sorry!). So Yarn Hero is more than just a yarn hero, she helped solve the shawl mystery. I didn’t get to go back to thank her and tell her my funny story. Maybe she’ll read this? If so, thanks Lynnell! OK, so back to my conversation with Amanda - I started giggling at the realization and told her that I had kind of stalked her at MDSW a couple years ago and showed her the photo from my blog post and we had a good laugh. It turns out I was already following her on Instagram and didn’t realize that was her username. It’s totally justified if people think I’m spacey. Anyway, she was gracious enough to let me take pics of her fantastic Penguono cardi. The other buildings had some vendors I wanted to say hi to. 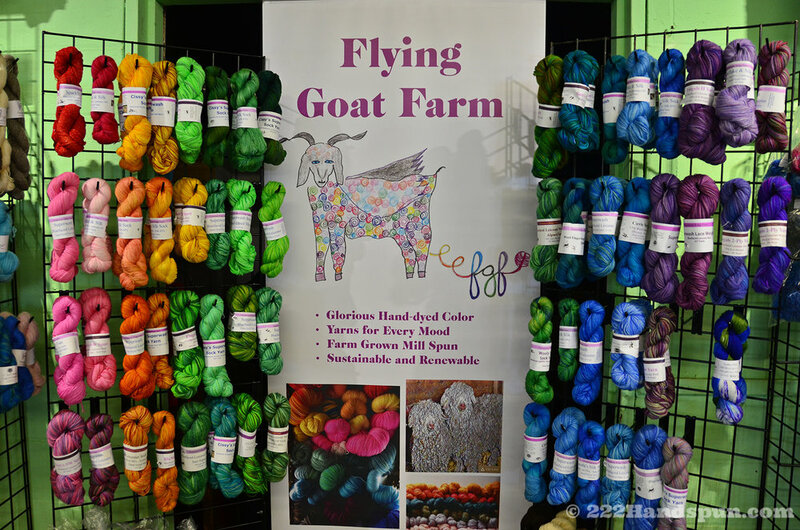 I bought some cool hand dyed cotton and firestar fiber from my friend Karen at Avalon Springs Farm. 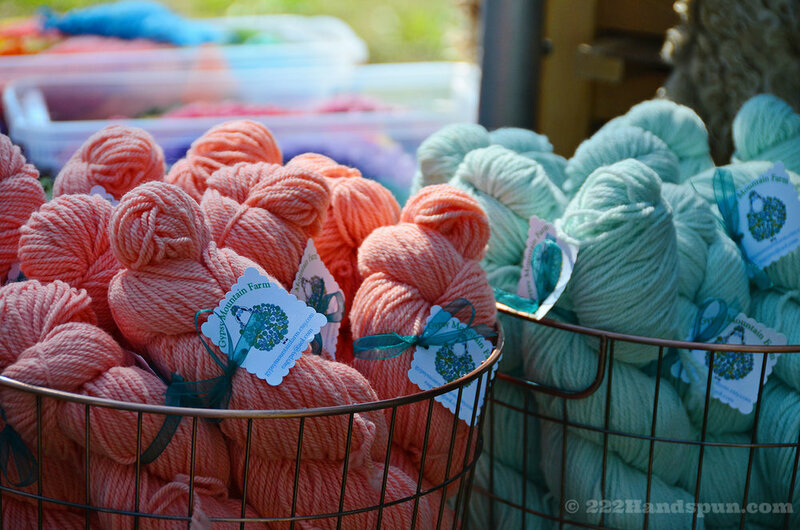 I love her colors and always find something cool in the way of blending fiber at her booth. 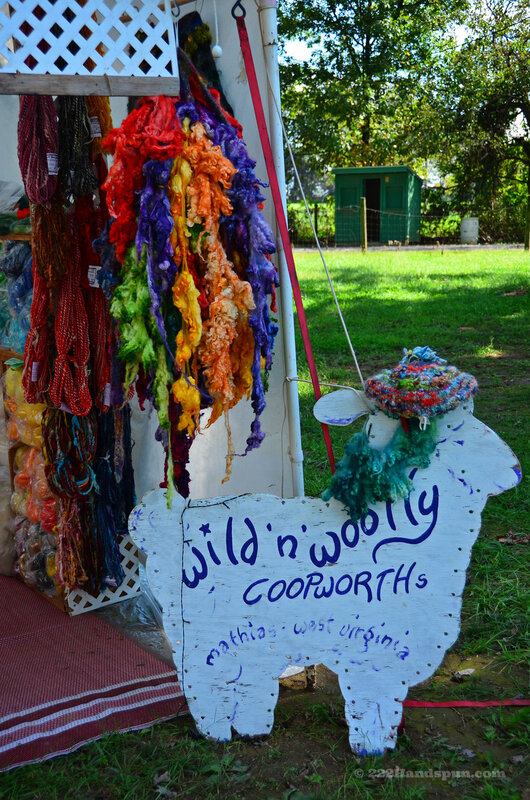 She raises the angora goats and other fiber animals on her farm and hand dyes all her yarn. 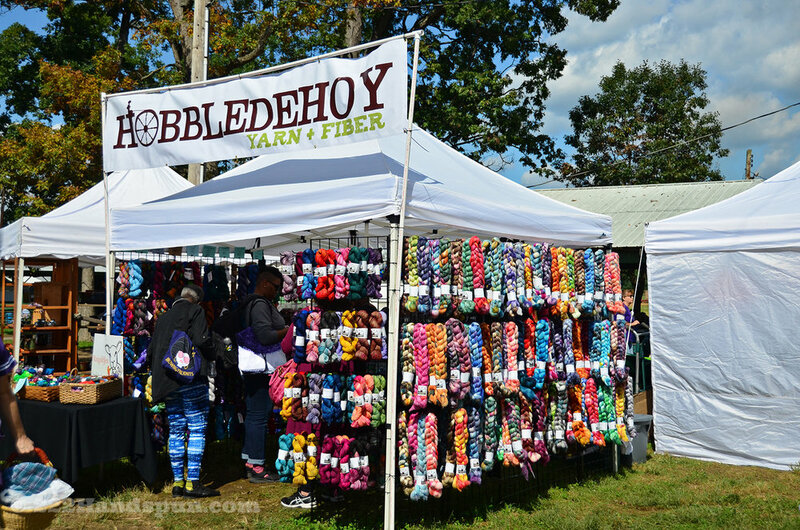 Some of my other fiber friends had amazing looking booths too! I always enjoy talking to the lovely women at Solitude Wool. They’re so creative and knowledgeable. I bought some locally raised raw cashmere fiber from them. I need to wash and dehair it. I’m not sure what I’m going to do with it yet, but it will be fun! 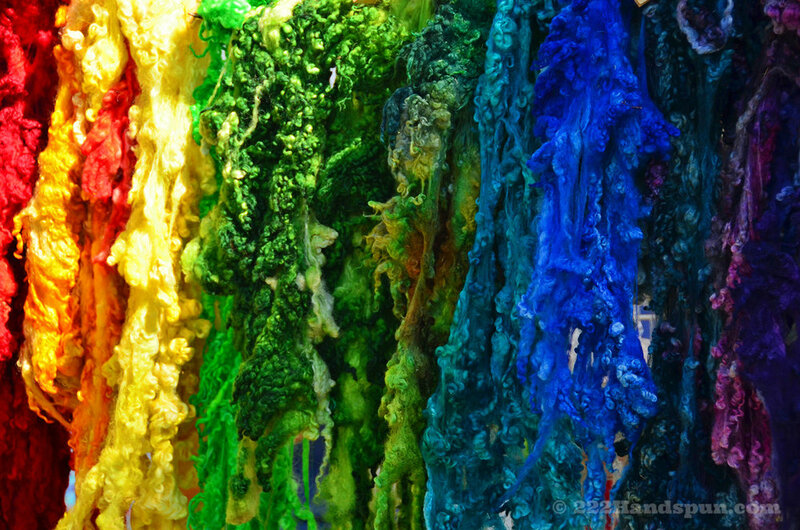 Melissa at Wild Hare Fiber has such a great sense of color. 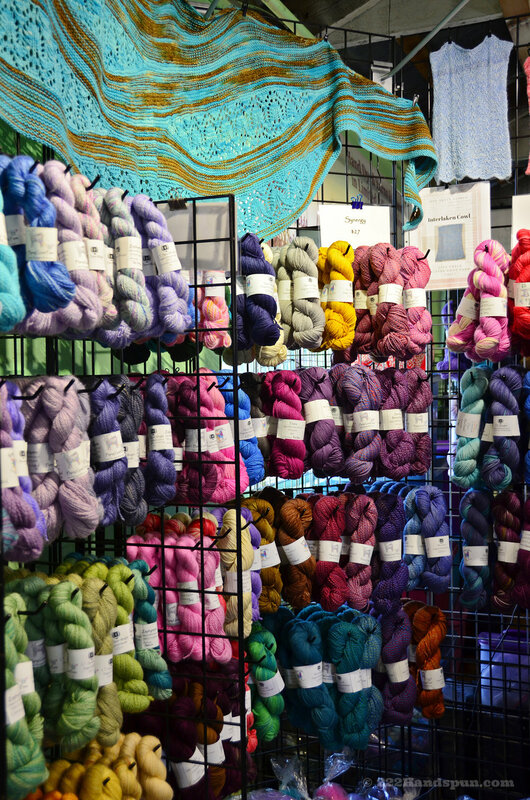 Her booth is like a candy store for yarn lovers. Another cool thing I got to do was go with another Fleece Sale volunteer, Tara, to pick up her new English Angora rabbit. I really, really, really want a rabbit but I was good and didn’t give into my impulse. They’re so damn cute though! Wow, what a blast! As usual, the organizers and vendors did an outstanding job. I can’t wait for next year!